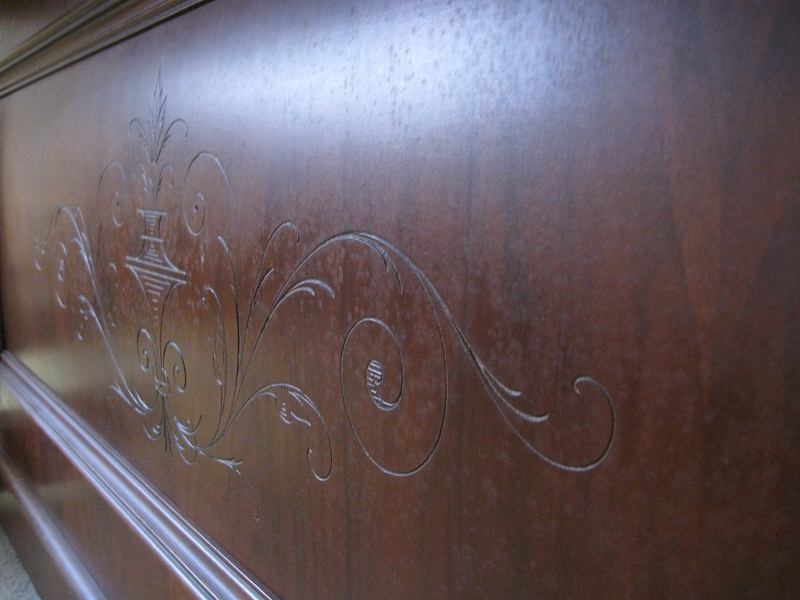 This is the decorative under panel of my 1920's upright Paling & Company piano. I just got it tuned and it sounds heavenly! My late-Grandmother gave it to me in her Will and I'm learning to play it. Beautiful Lyn! Just beautiful! Great photo! Thanks. I love that design, but I'm bummed that its underneath and near the feet instead of being above the keys where we can see it. Pretty. How does Miss Stevie react to your music? Is she a critic? @Quinn: Yes, Miss Stevie loves it when I play the piano. She twitters and chirps along with what I play. Sometimes she'll screech when she's not pleased, but it's not very often.